Summary: St. Vladimir’s Academy isn’t just any boarding school—it’s a hidden place where vampires are educated in the ways of magic and half-human teens train to protect them. Rose Hathaway is a Dhampir, a bodyguard for her best friend Lissa, a Moroi Vampire Princess. They’ve been on the run, but now they’re being dragged back to St. Vladimir’s—the very place where they’re most in danger. . . . I have to admit, when i read this series i was having a serious paranormal young adult binge. So, picking this book out of a stack of many, was quite hard, it just had the generic black cover with a face on it. Nothing about the cover screams “Pick me! I’m a seriously awesome book”. No, this book hides on the shelf, waiting for that moment, its moment, to leap free, and be read and adored. We open to a hungry vampire, but it’s all okay! It is only our very own Vasilisa Dragomir a moroi vampire, who along with her dhampir (Half vampire) “Guardian”, Rose Hathaway, is on the run from an unknown threat at their school. Rose, our protagonist is spunky and strong-willed, and very good at coming up with sometimes questionable plans. It is one of these plans, when she spots someone watching them that leads her right into the love interest, and significantly older Dmitri Belikov. So as you can imagine, this book is set, at an Academy, where both moroi and dhampir’s go to learn and train. Moroi in their magical elements and dhampir’s on how best to defend themselves from and kill Strigoi. It is here that Rose’s character develops depth and grows up. We witness both her wild and carefree attitude as well as the very controlled yet eager killing machine she is trained to be. As her relationship with Dmitri develops you witness the change in her character. During this time, she is also coming to terms with the new found information on her and Vasilisa’s connection and what it means for their future. Vasilisa, or Lissa, is the last Dragomir, as all her family died in a car crash, that she and Rose luckily survived. Being a Dragomir means being part of the Moroi Royalty making her a Princess. Yet Lissa grows into this role through the book, learning that it doesn’t matter what everyone thinks if you are happy. Lissa also learns about her new found powers and how they have already affected her life and how they will take their toll on her future. Yet it isn’t all bad for Lissa as she meets a boy and they fall in love. If only it were that simple! 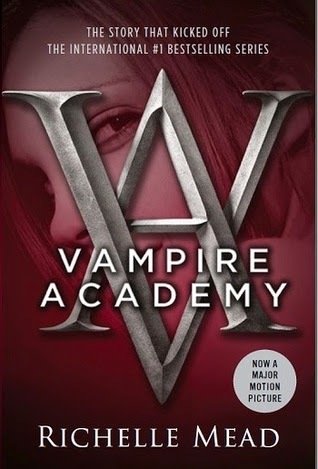 Overall Vampire Academy is a great start to an epic series and Richelle Mead’s writing just takes you with them all the way through the book, until you are reached for your purse to purchase the next one!